308134; 308136; 308137; 308141; 308143; 308145; 308147; 308152; 308153; 308154; 308155; 308156; 308157; 308158; 308159; 308160; 308161; 308163 and 308164. Some of the one's intended for West Yorkshire were repainted and appeared on 'Cross City Line' services in 1995. The last class 308 noted by the MIAC in the West Midlands in West Yorkshire PTE 'Metro' livery was No.308134 at Selly Oak on 20th April 1995. 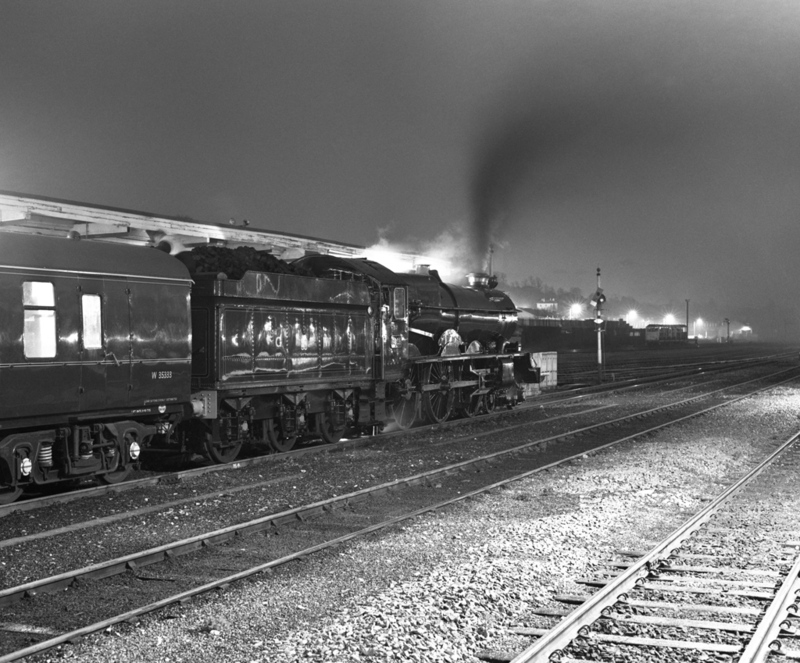 On 1st January 1st 1995 Robert Pritchard was at Worcester Shrub Hill to photograph this superb night shot of ex-GWR 'King' class 4-6-0 No.6024 King Edward I at Worcester Shrub Hill Station on the returning 'Cotswold Venturer' special train. In October 1996 local services on the former OWWR line from Oxford to Worcester were privatised and run by Thames Trains until 31st March 2004. This photograph was taken from a bridge inside Rover's Longbridge car factory and shows class 43 'HST' No.43006 heading towards Cheltenham. 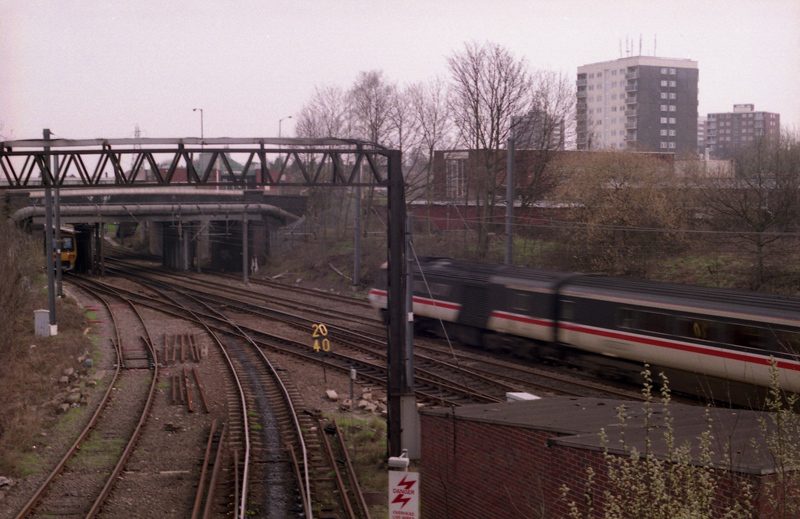 The class 323 unit under the bridge is on the slow line to Birmingham. The photograph was taken on 20th April 1996. There are no photographs in 1997. 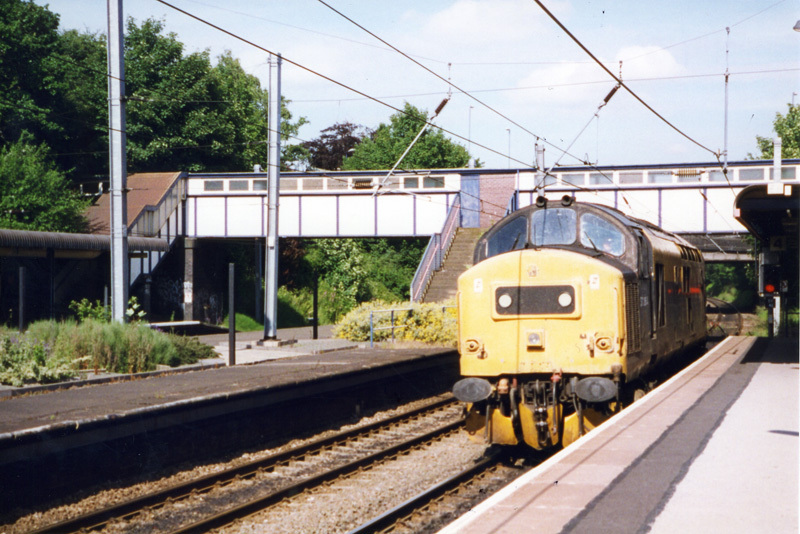 English Electric built class 37 diesel locomotive No.37264 has just come off the Camp Hill line as it runs light engine through Kings Norton Station on 7th July 1998. Derby Works (BR) built this Motor Brake Second railcar. 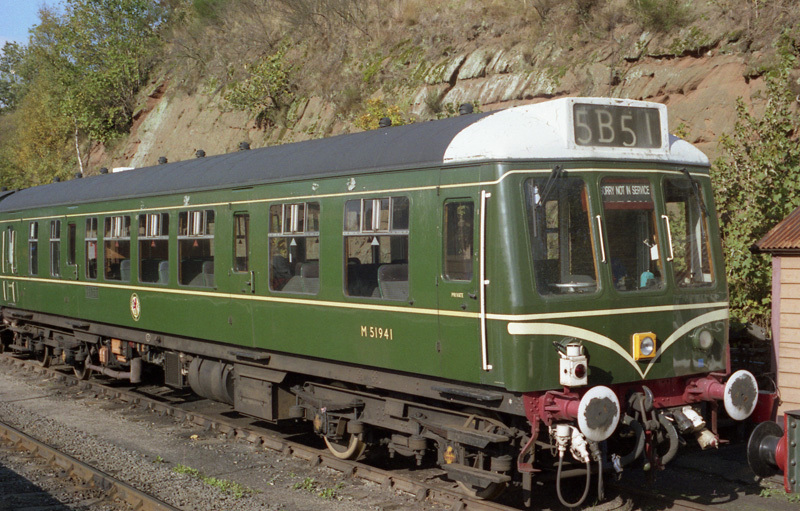 No.51941 is in the sidings at Bewdley (SVR) on 25th October 1998. 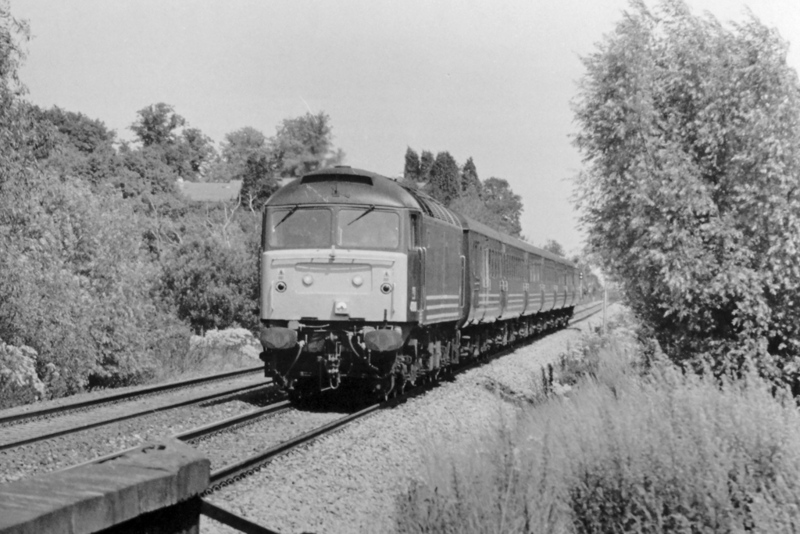 From the well-known vantage point at Vigo near to the top of the Lickey Incline Adrian Booth took this dramatic photograph of Virgin Train livery class 47 diesel locomotive No.47818 (originally No.D1917) descending the incline towards Bromsgrove with a south-west bound express service. Photograph taken on 28th July 1999. 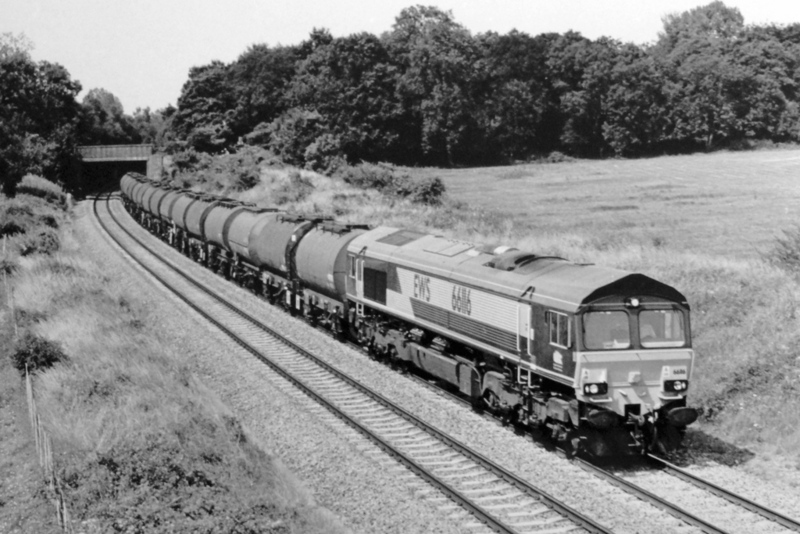 Also on 27th July 1999, Adrian Booth photographed Class 66 diesel locomotive No.66116 at Croome with what Peter Tandy believes might well be train code No.6V14, the Hull Saltend to Baglan acetic acid tanks.